Our favs for all our tiny but mighty adventurers. Your little hiker is ready to start carrying their own pack, and Jet will be their bag for years. This pack will haul whatever's needed for a day on the trail, and it has enough features to keep everything organized. Hydration sleeve, snack pockets, you name it. Just be ready when their younger sibling asks for one too. 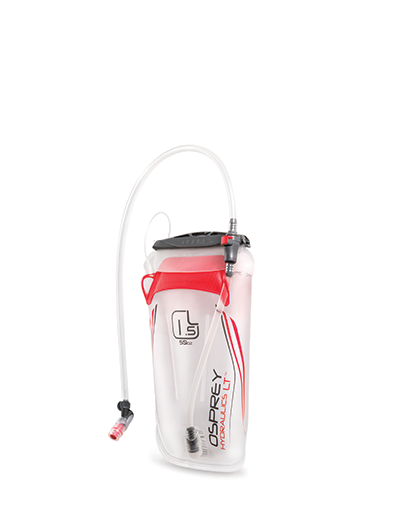 Osprey’s Hydraulics LT reservoirs use twin baffles instead of a backerplate to keep water stable, cutting weight while retaining most of the features that set them apart. 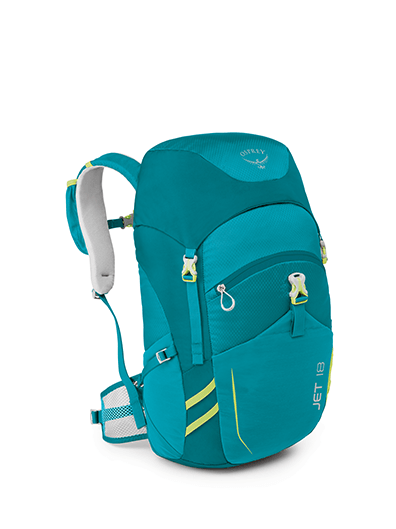 At just over a third of a pound, they’ll handle plenty of capacity without weighing down your pack. LEKI didn't cut corners when it came to designing a trekking pole for kids. Telescoping adjustments allow the Vario XS pole height to adapt as your child grows. The Speed Lock lever is so easy, kids can adjust the pole height on their own with a flip of the lever. The 2 piece segment packs down small and the steel tip provides steady grip on almost any surface. 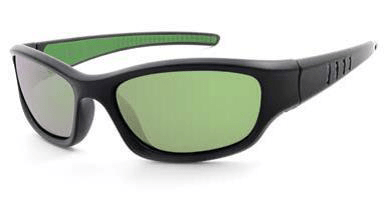 Shark Bite has a look your kids will love, with Polarized; lenses and floating frames to keep you worry-free no matter what shenanigans they get into. The kids are antsy to get to the beach, and no one has the patience to smear in lotions before they hit the sand. Kids Defense sprays on easily without sacrificing protection. It's 50 SPF and made without harmful chemicals. Plus, it's water resistant for 40 minutes, so you won't have to reapply every time they take a dip. 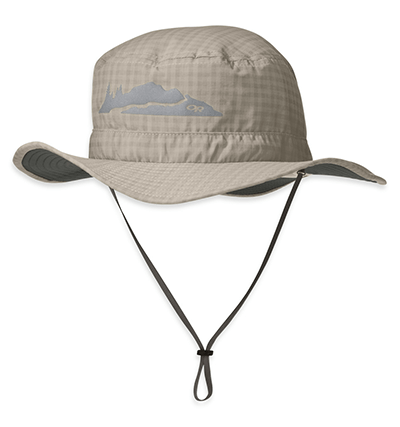 Keep your little adventurer covered on all sides with the Helios Sun Hat. It's tough enough to stand up to the rigors of the campsite and the sandbox, and lightweight enough to pack away easily in the beach bag. Arcadia will keep the kiddos dry no matter how many puddles they go splashing through. The waterproof exterior combines with all sorts of features and a reflective detail, so you won't have to think twice about sending them out into the rain. 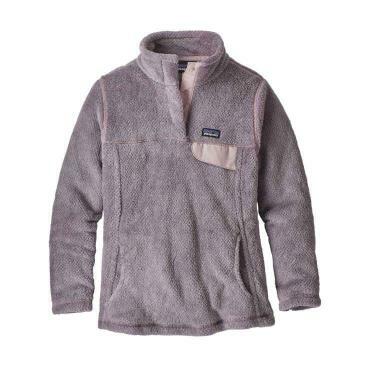 Patagonia's Re-Tool Snap-T pullover is constructed with plush, deep-pile, polyester fleece that holds lots of heat. Fair Trade sewing and bluesign approved fabric from recycled materials mean that making this garment was easy on the environment, and easy on the people that constructed it. With a stand-up collar, stretchy microfleece trim at the hem and cuffs, and contoured princess seams, the Re-Tool Snap-T pullover keeps your feminine shape and keeps you warm at the same time. 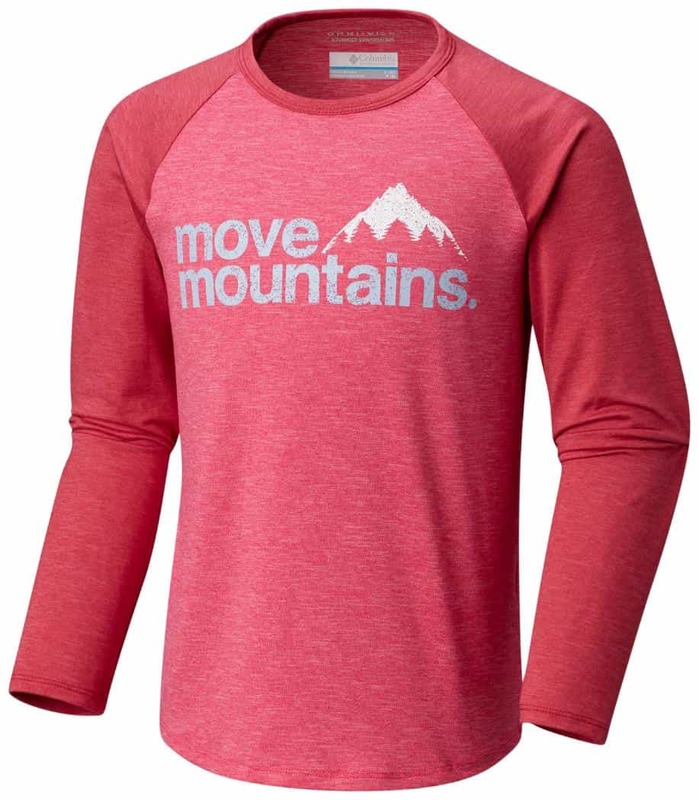 A trendy two-toned long-sleeve tee, Outdoor Elements adds wicking properties and UV blocking to make it perfect for active days outdoors. 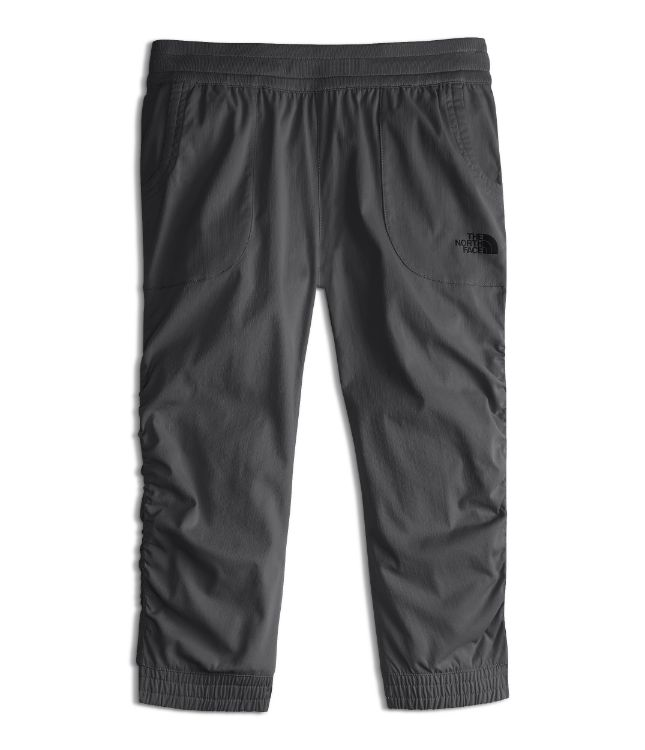 These capris are trail-ready, made with a quick-drying fabric and sun protection. 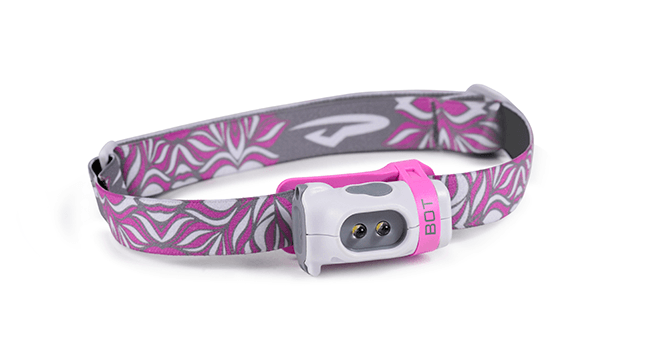 Your kiddo will be comfy on your next hike, sporting the lightweight, wicking Aphrodite. And don't worry, it's durable enough for the inevitable off-trail rambles. 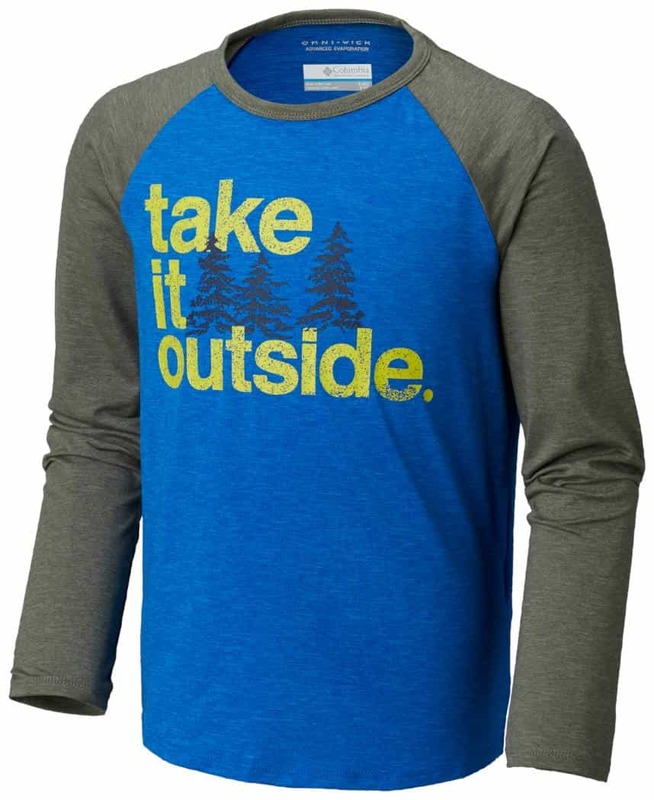 When you want to pass your love of the outdoors on to your kiddo, it can be tough to invest in quality gear for a growing child. NEMO developed the kids specific Punk sleeping bag to help mitigate costs and hassle of constantly replacing gear with an innovative drawstring design that provides three levels of adjustment as your little grows. 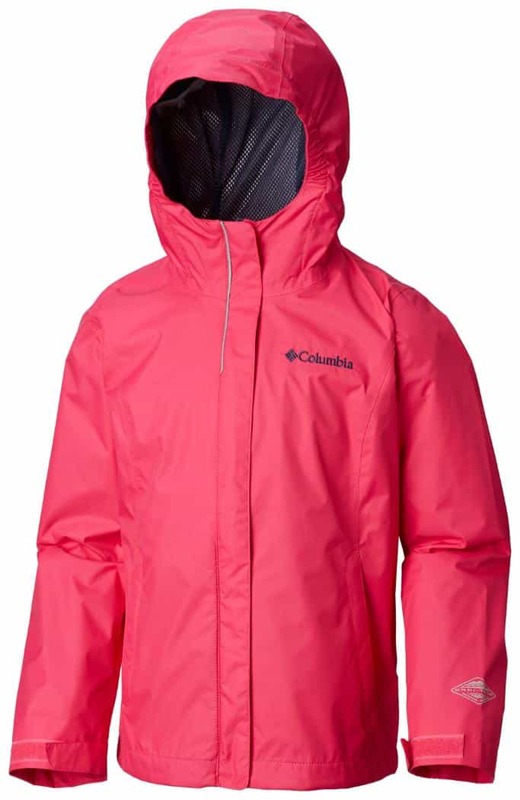 Durable water repellent treated fabric and Stratofiber synthetic insulation keep kids warm and dry. 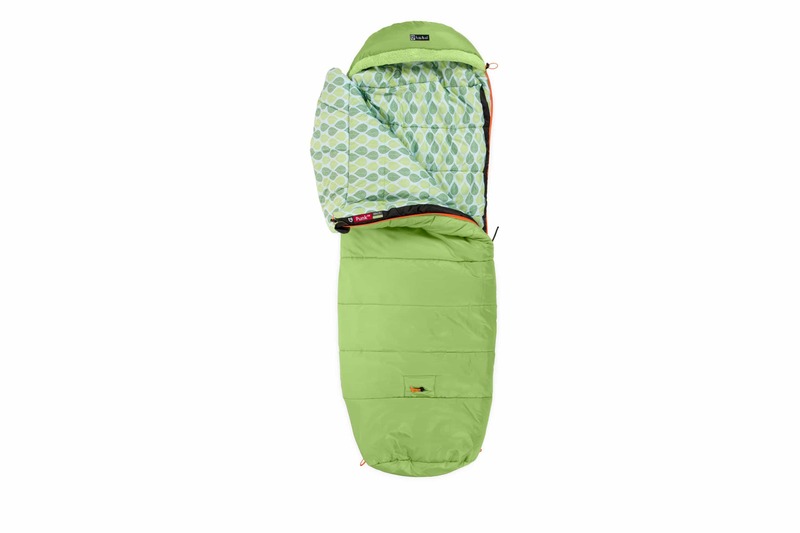 A blanket fold tucks around the neck for bedtime-story comfort, and an integrated sleeping pad sleeve keeps squirmy ones on their own side of the tent. 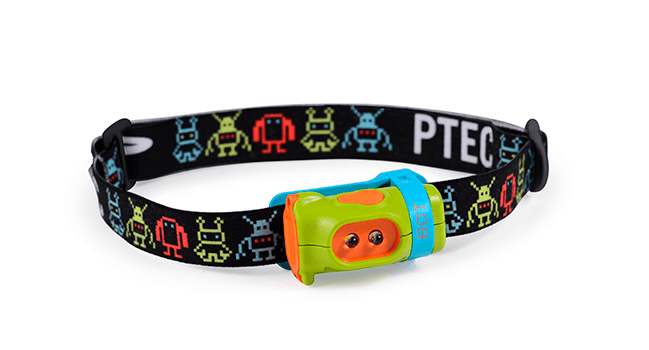 Look like a robot with this LED on your noggin. This is a teriffic lamp for Master Explorers in training.